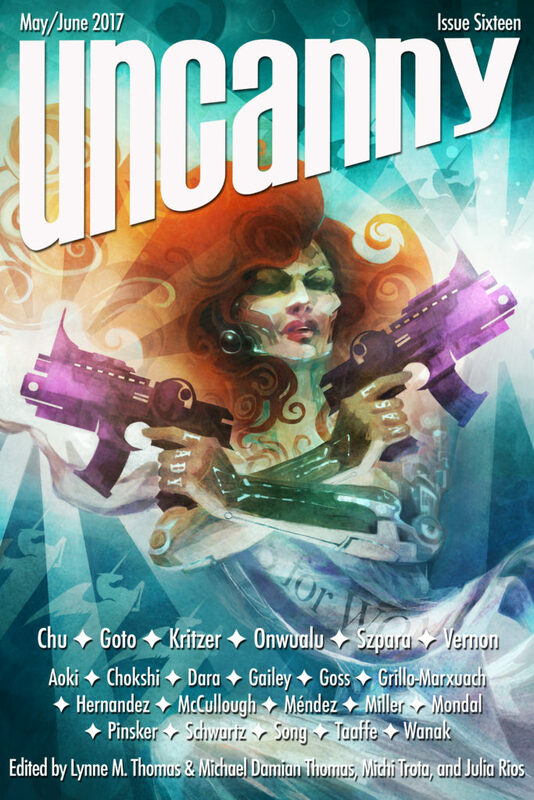 Uncanny Magazine Issue 16 Cover and Table of Contents! Coming May 2, THE SIXTEENTH ISSUE OF 2016 HUGO AWARD-WINNING & 2017 HUGO FINALIST UNCANNY MAGAZINE!!! The free online content will be released in 2 stages- half on day of release and half on June 6. 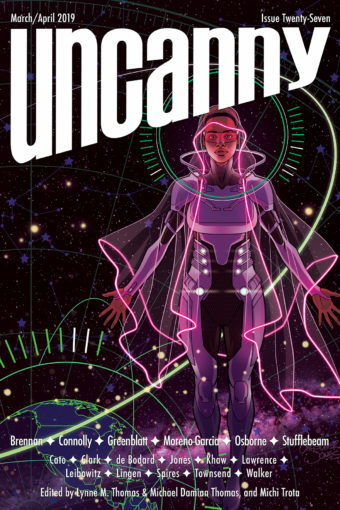 This issue will coincide with our Weightless Books Subscription Drive for a year’s worth of Uncanny Magazine eBooks. The drive will run from May 2-May 16. For that limited time, people can receive a year’s worth of Uncanny for $2 off the regular price. We will have some nifty giveaways for a few lucky new or renewing subscribers at particular milestones, too. (T-shirts! Back issues! Fancy custom tea blends! Tote bags!). And all new or renewing subscribers will get a vinyl Space Unicorn sticker and a Space Unicorn temporary tattoo!